Two part clear adhesive which sets hard in just 4 minutes. Suitable for bonding a variety of materials including, metals, glass, wood, concrete, rubber and plastics. Once cured may be drilled, sanded or painted. 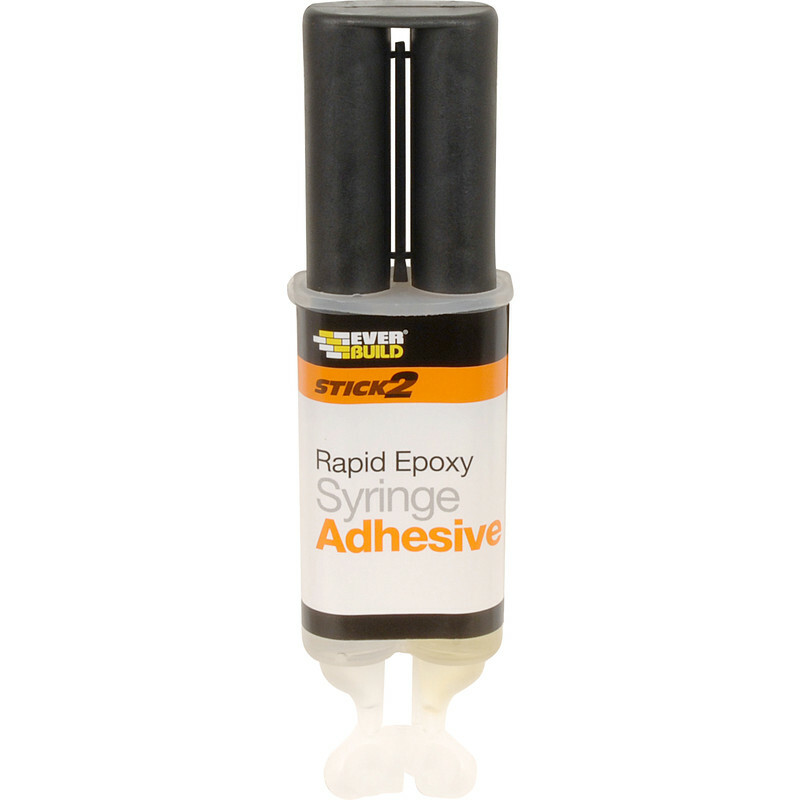 Epoxy Resin Adhesive 24ml is rated 4.4 out of 5 by 30. Rated 1 out of 5 by NatJ from Poorly designed dispensing mechanism Bought this so I could just use a little bit. The two sides of the syringe worked very unevenly. One side dispensed a lot more than the other as one part of the mix seemed a lot runnier than the other. Trying to dispense the thicker side just led to more of the runny side coming out. Ended up having to pull the whole thing apart to get equal amounts, mix it all quickly and do all the jobs I had at once. I'll stick with the traditional two tubes in future, it's much easier to control the amounts. Rated 5 out of 5 by Fix it Phil from Just the Job! very economical because you can dispense the exact amount and it does not 'go off ' because it is two separate ingredients. Rated 4 out of 5 by Betto from Multi use Epoxy Resin Bought to infill some holes on melamine units that had the hinges pulled out, used to refill the holes, worked at treat. Rated 5 out of 5 by mac22 from Great value for money product Performed exactly as it said on the website - set quickly and was completely cured within 24hrs. Rated 4 out of 5 by NPR55 from Used as a resin filler I used this to fill some damage on the top of my campervan. Once mixed it self levels and performs the same as you would expect from a larger quantity purchase from a popular motoring outlet that rhymes with Falboards.